Sansar, the new virtual world from Linden Lab, opened it’s beta period to the public yesterday. 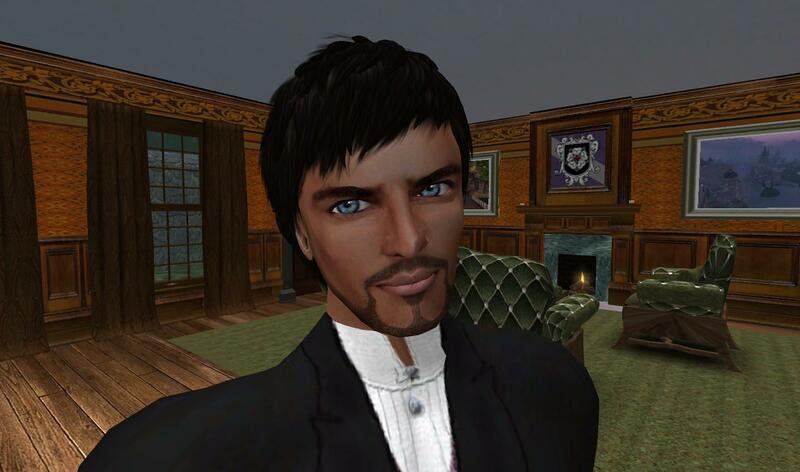 Last night, after reading Ciaran, Inara and Daniel’s alerts and advice about getting started, I created a Sansar account – ten years and ten days after creating my Second Life account. But the symmetry ended there as I waited until this morning to log in. First, I had to dust off the headset I finally bought last year after logging into High Fidelity for the first time and discovering that if I ever did figure out how to move or go anywhere, I was going to need a headset to communicate. I haven’t felt the urge to go back to High Fidelity since I bought the headset but now that I’ve used it to login to Sansar, that return visit to HiFi is likely to happen soon. My new radio station/music stream, Retro Roots Radio, has been named the Official Radio Station/Music Stream of AvatarFest 2016. Empires come, empires go. Especially virtual empires. A couple months back, I posted here that my first music stream, Radio Danko, would not be closing as I’d thought, that in fact I was adding two new music streams, part of a burgeoning virtual broadcasting empire. I guess I wasn’t cut out to be an emperor. 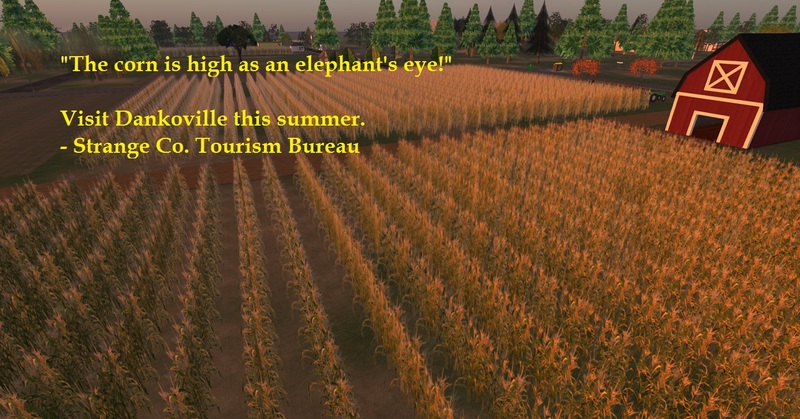 Dankoville is my OpenSim home. If I’m in town or the surrounding area, I might be working or just hanging out. If you’re visiting, don’t hesitate to say hello or ask a question. It’s best to use IM as I might not notice local chat. The sim is the setting for some of my story writing. In story, Dankoville is a small town in a farming area somewhere in the Corn Belt of the United States. We are a long-term project and therefore always in some state of disarray, under construction, pardon our appearance, etc. A few weeks ago I was preparing to shut Radio Danko off for good. But conditions changed and closing become unnecessary. And then I started two more stations! In our last episode, our hero (me!) announced he was getting ready to close his little faux radio station due to circumstances beyond his control. Since then, circumstances have changed, however, things are still beyond my control and have taken on a life of their own. I’m just hanging on tight and enjoying the ride. Radio Danko will not be closing. I hesitate to make such a definitive statement but for now and likely the foreseeable future, it’s business as usual for my radio station/music stream. On Tuesday, Philip Rosedale’s new venture, High Fidelity, went live to the masses. On Wednesday, I logged in for the first time. Sunday night I worked the overnight shift at the bakery in Cedar Point. I usually sleep all day Monday but this was Election Day. Had to set my alarm for three p.m. so I’d have enough time to wake up, go vote, and then drive up to Richmond to my brother’s. The line to vote at the school was long, it extended outside to the street. I was glad I made the extra time. I would have done the advance polls but I’ve been working so much, it never worked out. That’s why Mondays are good for me, even though I sleep all day. At least I know I’m going to be off. I need that. It’s rare that I’ll get a gig on a Monday night. I’ll take it if I do but if they came in all the time, I’d turn most of them down.